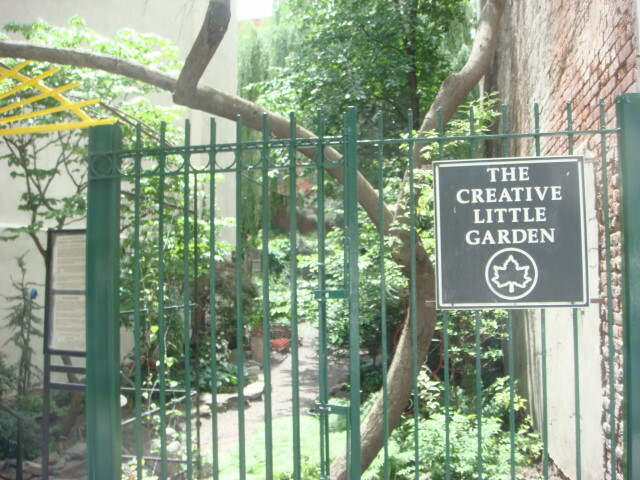 It’s so small that it’s easy to walk right by “The Creative Little Garden“. 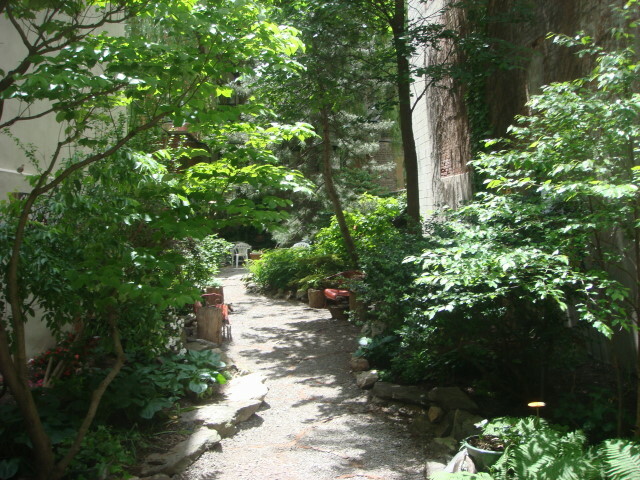 Yet, it is so nearly perfect that it may be my favorite garden in the City. 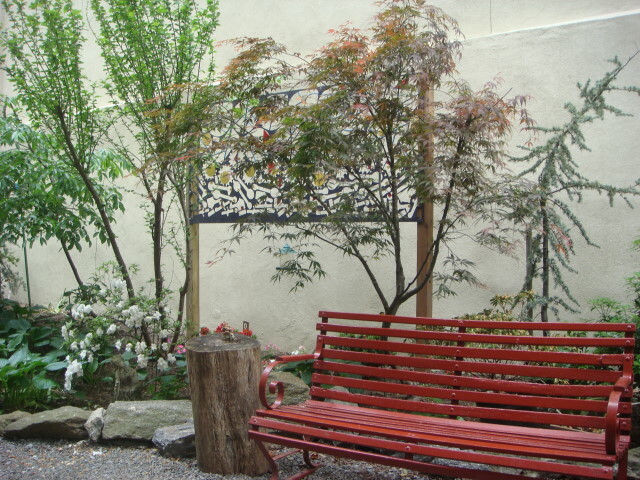 It’s located at 503 6th Street between Avenue A and Avenue B. It’s a block away from Tompkins Square Park which makes it a little more unlikely to find as that park is a magnet for the locals. I was surprised how quickly I took to it. Most of these community gardens are interesting only for a couple of minutes. But this one had me sitting and resting and reading in it for quite some time. I don’t know how thin it is, but this picture was taken while sitting on the bench in the picture above. From what I understand, there’s a long story behind the garden. The woman who founded it is said to have been a member of the French Resistance during WWII and something of a far-left radical once she got here. The other part is that there’s some connection between the garden and the Godfather movie. I read that the neighborhood was used for some of the exterior shots for that movie and some of the funds were used to create the garden. Or it could all be a bunch of hoo-hah. But it is a great little garden. 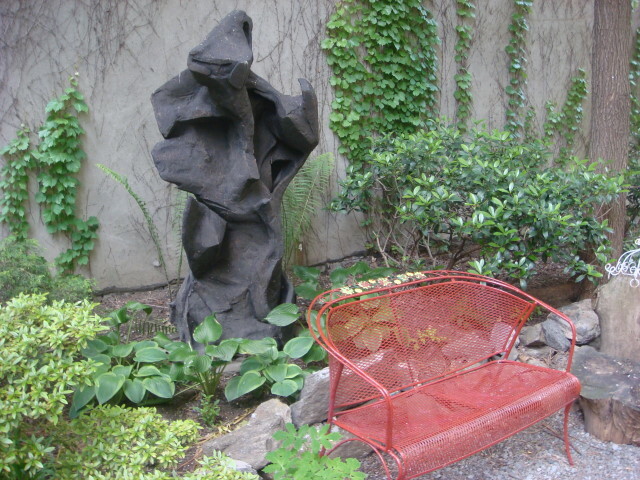 This entry was posted on May 31, 2008 at 12:26 pm and is filed under Greenwich Village, LES, Manhattan, Wanderings. You can subscribe via RSS 2.0 feed to this post's comments. You can comment below, or link to this permanent URL from your own site.